You need to create a moving committee made up of one person from each part of the company, or each department. When you have one person from each department, you will have the broad range of input you need to plan a proper move. If you set a moving day and then try to do everything at once, you may run into problems. The best way to move your company is to put together a list of everything that needs to be done, prioritize the entire list, set deadlines for each activity, and then assign people to making sure that those tasks get done on time. A good way to start is to move all of the items and equipment that are not essential to the operation a day or two before the actual move. Then you could schedule the switching over of your phone lines and other essential utilities on the day that you make your move. Get your critical operational personnel in place first, and then bring over everyone else. All in all, your move could take about a week. When moving your office, you need to be aware of what can go wrong and do your best to prevent problems before they happen. The pitfalls of an office move can sneak up on you if you are not paying attention. The biggest pitfall is having someone miss a deadline that leaves your company hanging. That is why you should call the moving company and all of the utilities at least once a week to make sure that they have all of the deadlines in place. You will probably find that your first few follow-up calls were essential because something was not planned properly. After you have everything straightened out, you should still follow-up right up to moving day. One of the worst things you can do is leave your employees out of the moving process. On the contrary, you need to get your employees involved and make sure that everyone understands what they are expected to do. Have regular meetings with the employees to make sure that everything gets done by the scheduled deadlines and leave nothing to chance. Your moving committee needs to have a leader and it also needs to have a central calendar that everyone works from. In some cases, putting a calendar up on a whiteboard allows people to make changes that everyone can see. You need to centralize every aspect of planning so that everyone can get their hands on the information they need and everyone knows what they are supposed to do. When the move starts, you need to have the entire plan written out and one person actually in charge of making it happen. If you allow each person in the committee to give directions, then you could have nothing but chaos. The earlier you start with your organizing activities, the less chaotic the move will be. Start planning months in advance and leave absolutely nothing to chance. Be sure that everyone understands their responsibilities and provide the tools people will need to get things done. Start alerting your customers to your pending move the moment you have the new address. Send your customers letters explaining when you will be moving and where you will be moving to. After the letters have gone out, get your sales staff to keep regular contact with all customers by phone and email to make sure that they are aware of the move. 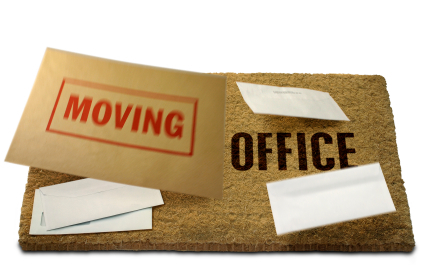 The week before the move, send out a card reminding your customers of the move and alerting them to change your company information in their records. Moving your company into a new office is a sign of growth and progress. In order to cash in on that momentum, you need to plan your move well in advance and make the process as smooth as possible. This entry was posted on Tuesday, February 10th, 2009 at 12:19 pm	and is filed under Office Organization. You can follow any responses to this entry through the RSS 2.0 feed. You can leave a response, or trackback from your own site.